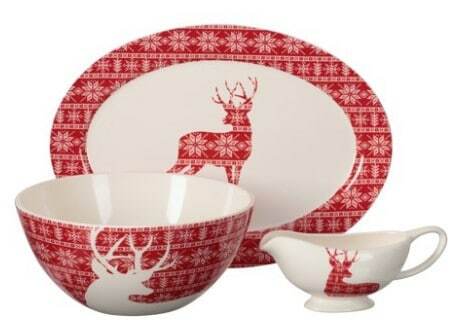 Walmart has Mainstays Deer Serving Set for $9.97 (Reg $22.54). Choose free in-store pick up if available near you; otherwise, score free 2-day shipping on any eligible $35+ order. This design brings together bright red and crisp white snowflake patterns to make a silhouette of a reindeer. The Mainstays construction is conveniently microwave friendly and dishwasher safe.